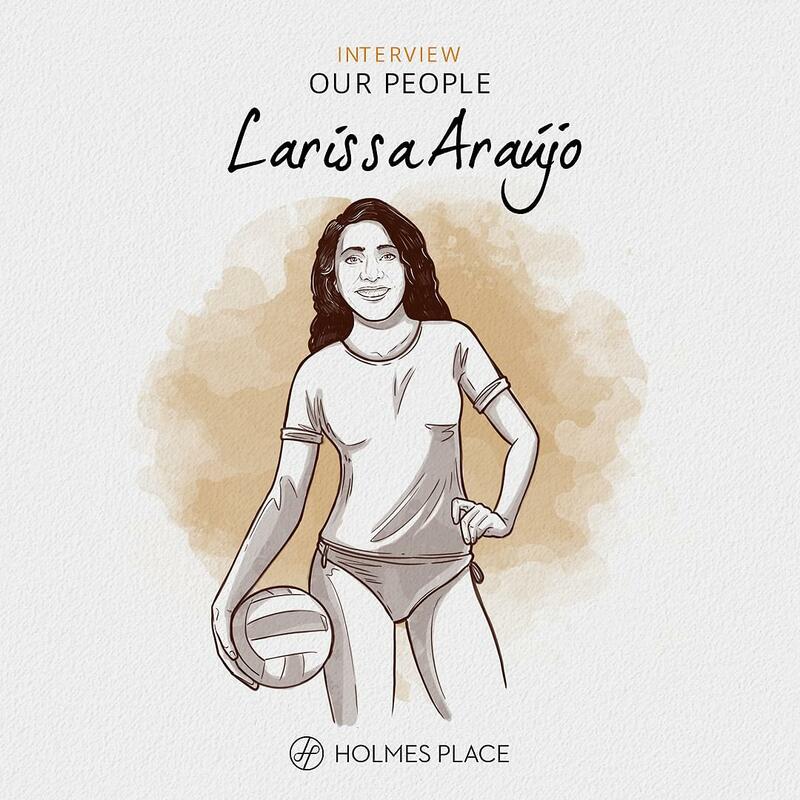 HR Director and CEO of Holmes Place Austria, Larissa Araújo embodies the ‘enjoy the journey’ motto of the company. And this means time to embrace long found passions, like beach volleyball. Be inspired. When someone joins Holmes Place they begin a journey of passions and personal challenges that inspires their whole life. The same happens with all the people that make us who we are, our people. This is the story of one of those journeys. This is the story of Larissa Araújo, HR Director and Holmes Place Austria CEO. Volleyball is the sport that I grew up with in Brasil, and played throughout my teenage and early twenties years. I love it because it is a team sport, and like all, fosters in young people the beauty of team work, the importance of communication and support of one another. I am not a highly skilled player, but I don’t mind, I have always played more for fun than anything else. I played for University College London whilst doing my Master Degree and had a great time, since the team was made up mostly by foreigners (the English don’t really play volleyball…). Last year I decided to take up beach volleyball, and learn to play it properly!! It is quite different from what I have played in the past, and I feel excited about taking a new journey with the sport I love and progressing to a better level. Find more Our People interviews here. Posted in Our people and tagged our people, human resources, sports, volleyball.